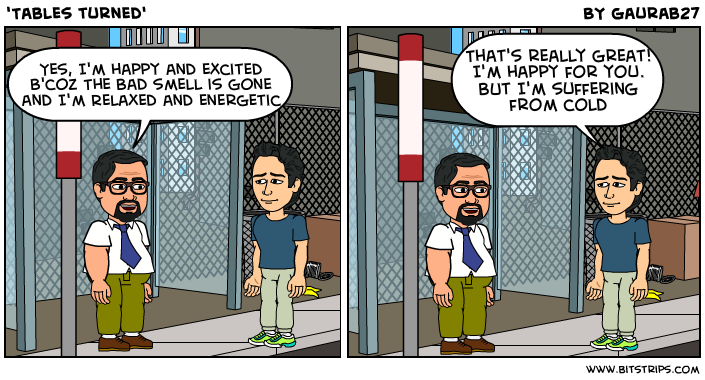 This life story is about Mr.stinky who used to live in a beautiful city and had a great life but the only thing that troubled him was his own bad odor. His best friend Mr.smarty who helped him in every thing was also troubled with this problem because whenever they used to meet Mr.stinky used to smell really bad. He was in a very pathetic situation. He felt embarrassed because of it every time but was having no solution for it. He used to think a lot about this problem which has made his life hell. His worries were growing everyday. Even in roads he wasn't able to walk peacefully and people often used to ask him about the foul smell which used to come from him. 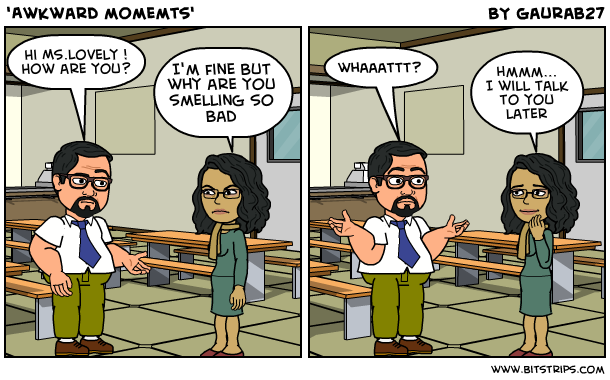 On some occasions he used to make a sorry face but in other occasions he used to ignore it or lie to them in the face that he wasn't aware of any such smell. Whatever he may answer but he definitely knew that he was facing a big problem and would have to find a solution for it as quickly as possible. His tension was growing with each passing moment. The water has gone above his head and he was not able to tolerate any more of this embarrassment and humiliation but he had no solution to this. 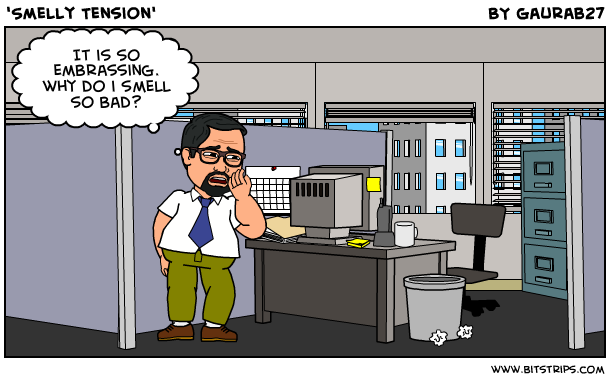 In his tension, he always used to ask himself "What's the smell boss?" 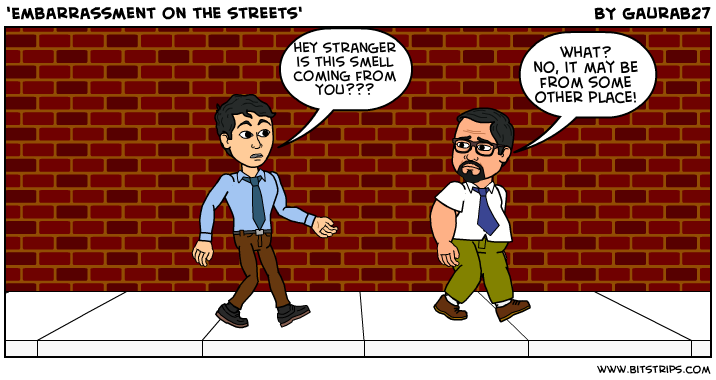 and wondered will he be able to get rid of this smell in future. Though Mr.Stinky was suffering from a grave problem and was continuously in tension but he never lost the hope. He was a positive person and he was always trying to find a solution to his problem. When he couldn't think of anything, in desperation, he uttered the words - "God, show me a way"
God always come to help those who believe in him and this occasion was no different. This time his best friend was the messenger of god. Like everyday he went to his backyard to meet his friend. His friend Mr.Smarty was having a big smile on his friend. This made him really annoyed as he thought that his friend may be smiling at his pathetic situation but the case was totally opposite. His friend Mr.Smarty who was also worried about his condition has found a way to solve his problem and get him out of his miseries. Hearing this Mr.Stinky got really excited. He couldn't believe this for one moment and asked him again in suspicion. 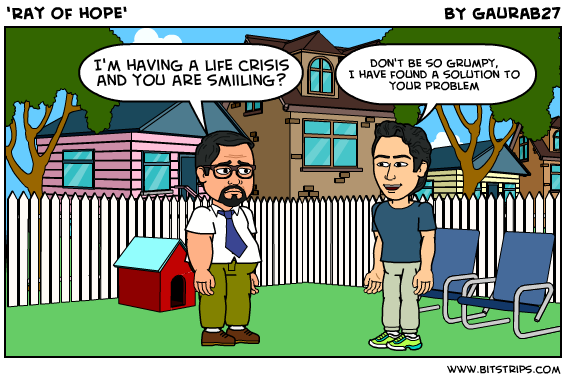 Mr.Smarty told him that he won't joke about such a serious topic and he was also worried about this problem. Mr.Stinky was not able to control his excitement. 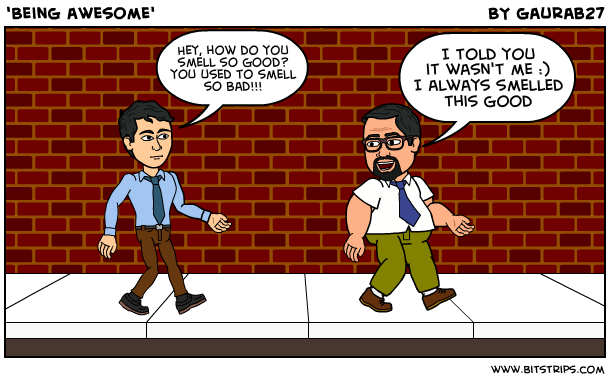 Finally god has listened to his prayers and he won't smell bad any more.He asks Mr.Smarty to break the suspense and tell him about this solution. 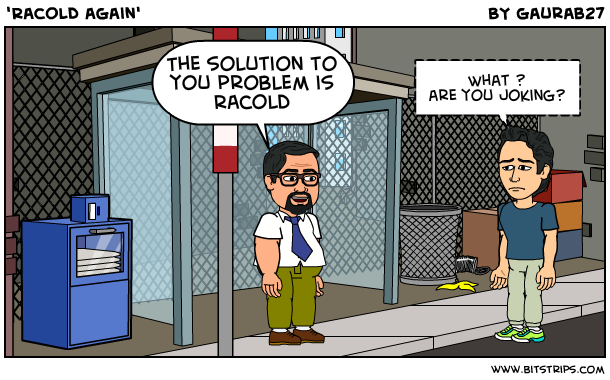 Racold is the solution to all my problems. How is it possible? asked Mr.Stinky. 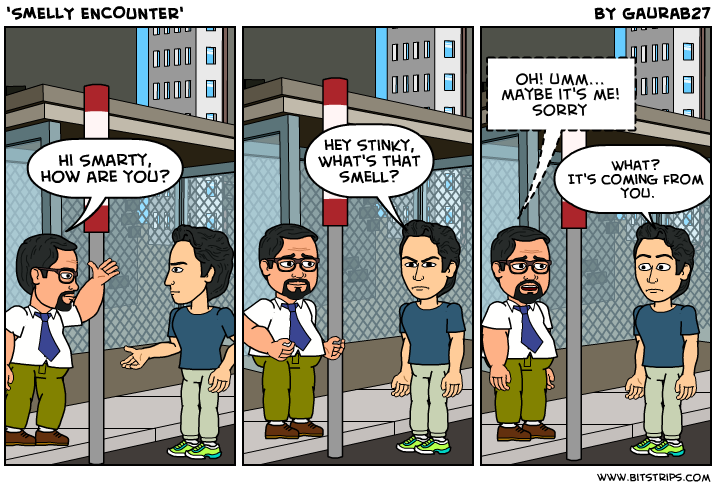 Mr.Smarty knew that he would be asked this question. So, he has already prepared the answer. Mr.Stinky you should start your week with hot water bath this will remove all the smell from your body by washing of all the sweat and dirt from your body. Mr.Stinky you should also know that hot water bath just not removes the dirt and smell but also relaxes your muscles. It will make you feel rejuvenated and will be excited to go to work everyday. Taking hot water bath after a long and tiring day will make you feel calm by relaxing you muscles and relive you from your stress. I know that you suffer from tension a lot so this will also work a stress buster for you. These are fine but is this bath water safe to use ? This is a very common question people ask my Mr.Stinky. 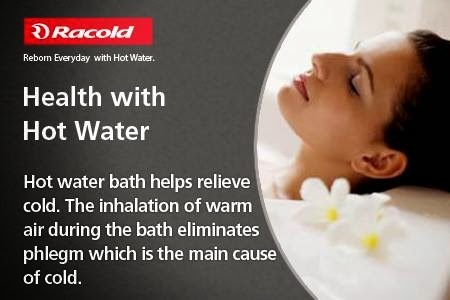 The scientifically prepared Racold water heater kills 99% of harmful bacteria and hence you get really pure water which is really safe for you bath. I think I have answered your questions and solved all your problems. 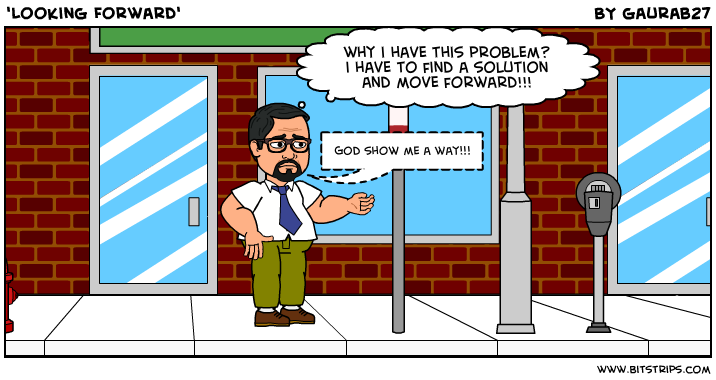 Mr.Stinky was excited and over-joyed to find solution to all his problems. Now Mr.Smarty was waiting for his friend to give a feedback about his suggestion. 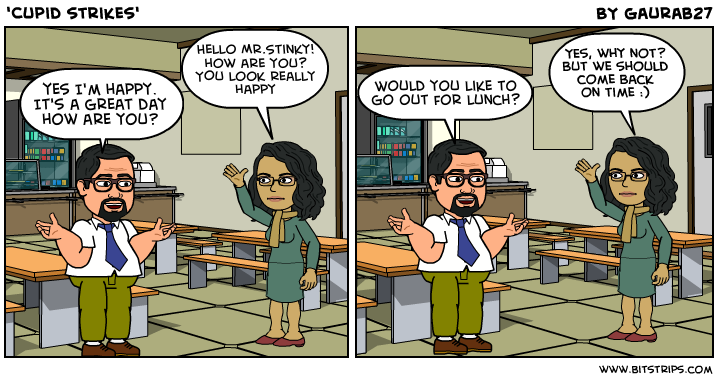 The next Monday, Mr.Stinky looked really happy and excited but Mr.Smarty's faced looked pale, even his response was very low as compared to Mr.Stinky. Mr.Stinky understood that there was some problem with his friend but he couldn't control his excitement. His wish finally came true and he no longer smelled so bad and not just that he was also feeling really relaxed and energetic. Mr.Smarty was happy for his friend but he was suffering from cold and was not at all feeling well. 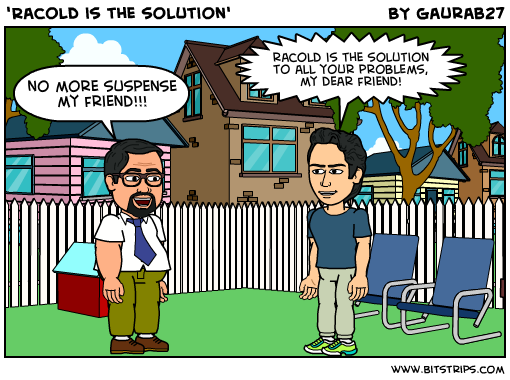 Mr. Stinky told him that the solution to his problem was also Racold, which he thought was a joke because he has earlier told Mr.Stinky that Racold was solution to all his problems. But Mr.Stinky was really serious. He informed his friend that though he may have suggested him about Racold but he himself doesn't know all of it's qualities. 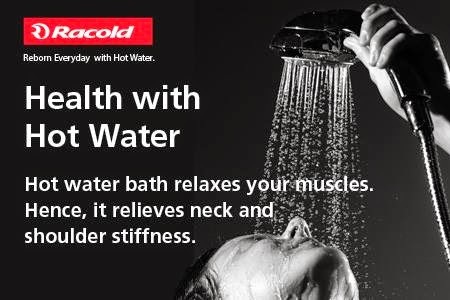 Racold water heaters also helps to give relief from cold. The inhalation of warm air during bath eliminates phlegm which is main cause of cold. Mr.Stinky has returned the favor to his friend. 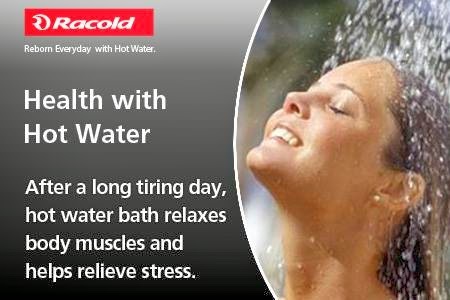 This entry is written for RACOLD - Reborn Everyday with hot water #WhatThatSmellBoss contest from Indiblogger. You can visit there page to have a better information about the contest and their products. So many aspects of Racold expressed here, Gaurab! Hey Great post ! Congrats me sure you gonna win here ! Such a lovely and detailed post... All the best for the contest !! 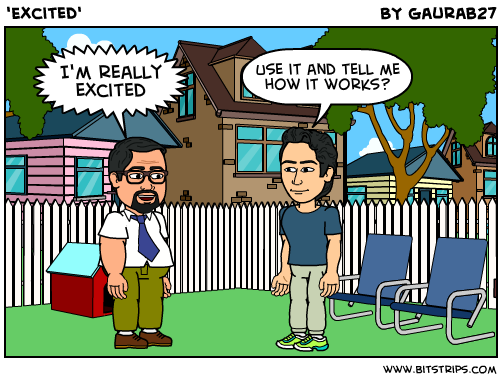 Amazing post...you have mentioned different aspects of Racold. Loved the cartoons. What creativity....awesome! Loved ur post and the way u presented it. This was an enjoyable read Gaurab. Good luck for the contest. Awesome. Liked the presentation. Keep up the good work. 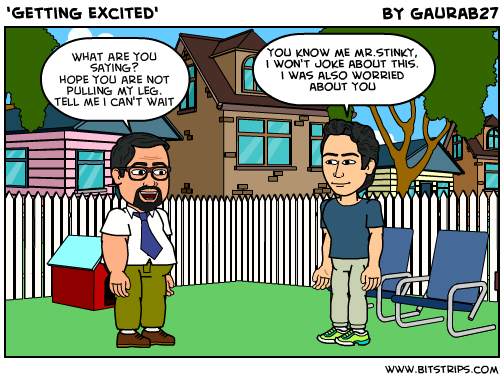 You have smartly used the bitstrips to add cool effects to your blog post! Loved reading this. 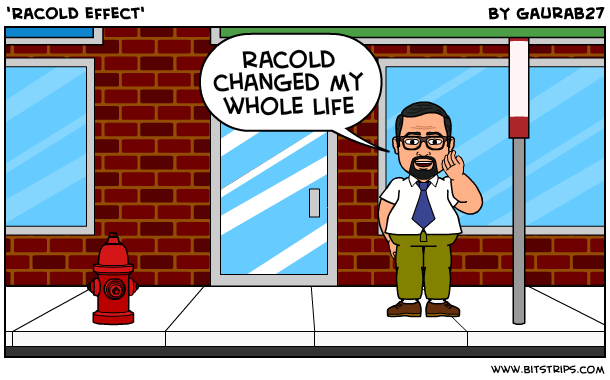 A nice story to teach about Racold :) Best wishes for the contest! May you win!